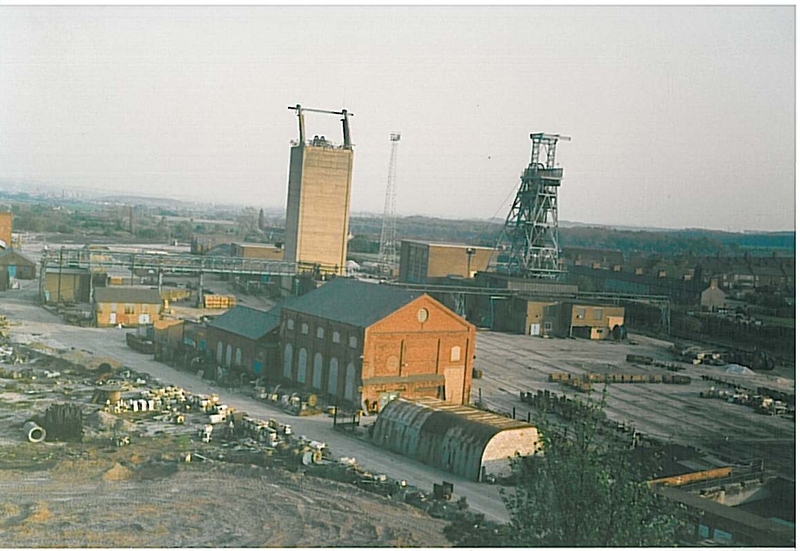 Newstead Colliery’s history began in 1874 when two 13 ft diameter shafts were sunk by the Newstead Colliery Company, close to Newstead Abbey, once the home of Lord Byron. The ‘old village’ was built in 1875 to house miners and their families and a year later the first coal was produced. 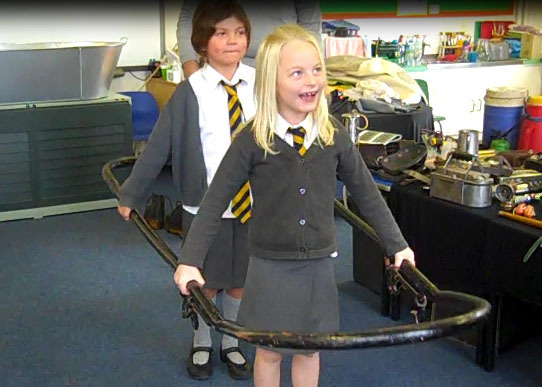 Workshops and stores were built in 1880 and in the 1890s electricity was generated to light the pit bottom and around the pithead and screens. In 1923 the Colliery Welfare Club was built. A year later the ‘new village’ was completed providing accommodation for 1,200 men. The village church was added in 1928. Pithead baths were added in 1935 – designed to cater for 1,680 men and a canteen and medical centre were provided seven years later. The Colliery had favourable geological conditions and production grew steadily, even during the 1930s and the Depression. Between the two World Wars production remained high. In 1939 the Sheepbridge Company became the new owners. At nationalisation, Newstead had an annual output of 476,000 tonnes which was produced by 1,300 men, at an output per manshift of 1.47 tonnes. Newstead benefitted from the development of new mining techniques. In 1957, at the age of 84 years, the pit was first recorded as topping national productivity averages. 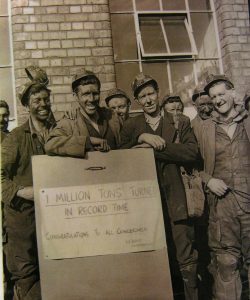 Two years later the 1,280 Newstead men produced more than a million tons of coal in a year for the first time ever – an achievement repeated a further 15 times up to 1976. However, geological conditions worsened and in 1986 the Tupton seam was abandoned due to severe problems on faces and roadways. When the mine closed in March 1987, all coal production came from two faces in the High Hazels seam. 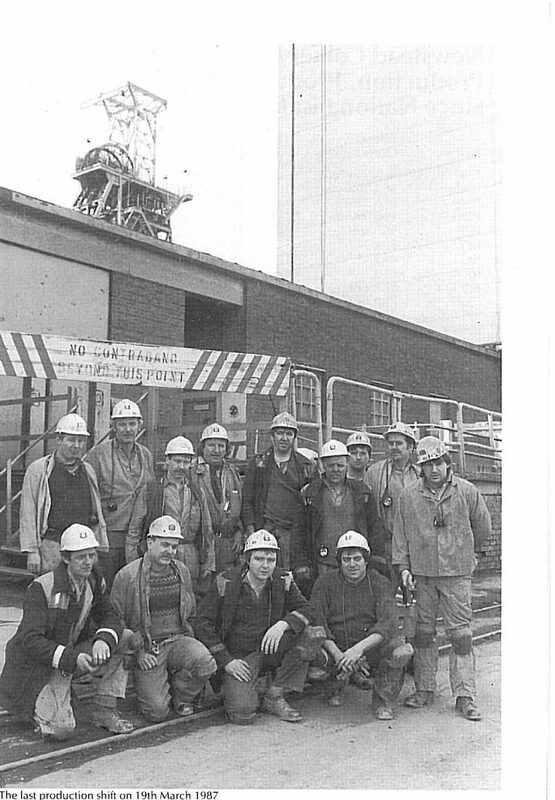 The Colliery was finally closed on March 19th, 1987, following a ballot of UDM members. 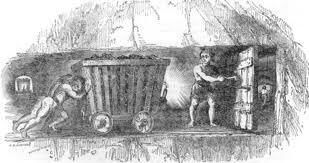 Only the ballot of the members of the Union of Democractic Miners were accepted by British Coal. The UDM had voted 137 to 111 to close the colliery. 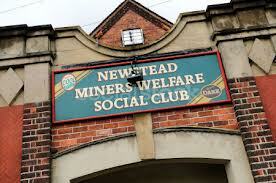 It was a small majority of 26 men that closed Newstead Colliery. NACODS*, and NUM COSA** voted by a small majority to keep the colliery open. Newstead branch of the NUM, in a secret ballot, voted 66 to 6 to keep Newstead open. If all ballots had been accepted by British Coal the Colliery would not have closed at that time. 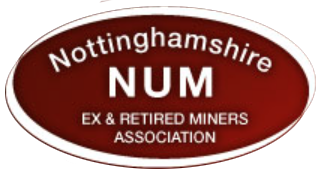 * NACODS – National Association of Colliery Overmen, Deputies and Shotfirers. This page was added on 23/10/2012.